It’s been a slippery slope so far in Montreal this winter: snow, ice, cold and slush. Speaking of slippery slopes, a video was posted to Instagram on Tuesday, from user Julien Bauby, who captured sheets of ice falling from the Olympic Stadium. 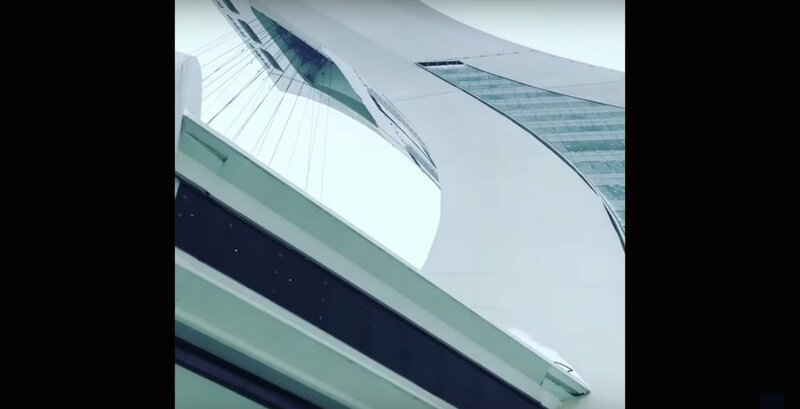 Shortly after Environment Canada had issued a freezing rain warning for the Montreal area, the video shows large chunks of ice detaching from the newly renovated tower. The sheets may look small from Bauby and the camera’s point of view, but keep in mind that the Olympic Stadium, the world’s tallest inclined structure, stands 541-feet-tall. Days before, Bauby posted another photo of Montreal’s weather doing a pretty solid job at freezing the Olympic Stadium.